Today we look at Mark’s account of the women at the empty tomb on Easter Sunday morning. Though not technically an “appearance,” the way Mark ends his Gospel and sets forth the resurrection presents some interesting considerations for the believer. The passage is Mark 16:1-8a (NRSV). When the sabbath was over, Mary Magdalene, and Mary the mother of James, and Salome bought spices, so that they might go and anoint him. And very early on the first day of the week, when the sun had risen, they went to the tomb. They had been saying to one another, â€˜Who will roll away the stone for us from the entrance to the tomb?â€™ When they looked up, they saw that the stone, which was very large, had already been rolled back. As they entered the tomb, they saw a young man, dressed in a white robe, sitting on the right side; and they were alarmed. But he said to them, â€˜Do not be alarmed; you are looking for Jesus of Nazareth, who was crucified. He has been raised; he is not here. Look, there is the place they laid him. But go, tell his disciples and Peter that he is going ahead of you to Galilee; there you will see him, just as he told you.â€™ So they went out and fled from the tomb, for terror and amazement had seized them; and they said nothing to anyone, for they were afraid. The ending of the Gospel of Mark raises interesting questions for a reader of the Bible. We don’t have space to go into detail here, but a few comments are in order. Some contemporary scholars think Mark 16:1-8 is indeed the book’s ending, and that it functions to put a final emphatic point on one of the Gospel’s primary themes: the difficulties and challenges of discipleship, which often end in failure. The women flee from the tomb and fail to pass along the message because of fear. This “negative example” provokes us to consider our own fears and our “great omission” in telling the Good News. However, others are not satisfied with this. Though it is widely accepted that the alternate “endings” which are included in our Bibles (such as Mark 16:9-20) were later additions to “complete” the story, it is asserted that there must have been an original ending, now lost to us. Mark’s ending is missing. I am convinced of it. Two of our best manuscripts, both from the fourth century, end where this text breaks off. The alternative endings in several manuscripts…seem clearly to be later writings, added by copyists who, agreeing with me that Mark couldn’t have meant to stop there, were determined to fill in the gap. Of course, there are many who think that Mark did after all intend to close the book with the women in fear and silence, but I disagree. I have become quite sure that there was more. I think a very, very early copy of Mark was mutilated. As with many other scrolls and books in the ancient world (and sometimes even in the modern), the last page, or the last column of the scroll, was torn off, presumably by accident. Like its parallel passage in Matthew, Mark 16:1-8 assumes a subsequent resurrection appearance by Jesus in Galilee, and perhaps an appearance to Peter (the one Paul mentions in 1Cor 15:5?). NT scholar Grant Osborne suggests that Mark may have originally ended his story in similar fashion to Matthew 28:9-10 and perhaps 28:16-20, with Jesus appearing to the women, and then meeting with and commissioning his disciples in Galilee. However, we do not have this “lost” ending. We have Mark 16:1-8. Perhaps in God’s providence, even if we do not believe that this was the original conclusion to the Gospel, the ending as it stands now can still teach us something. This pericope leaves the reader with a poignant challenge. And in the light of Mark’s original audience, that challenge becomes even more intense. For it is likely that Mark wrote his book for the persecuted Christian community in Rome, and that he told Jesus’ story from the Apostle Peter’s point of view (who had his own famous struggles with public witness when in danger). The shadow of the cross, opposition from powerful leaders, divisions among Jesus’ followers, persecutions, and betrayalsâ€”all these themes in Mark’s Gospel would have been especially meaningful for an early Christian community that had suffered for the name of Jesus and was expecting even more suffering. These themes fit well with the experience of Christians at Rome in the late 60s of the first century C.E. There is solid historical evidence that the Christian community at Rome faced persecutions, brutal executions, and intrafamilial betrayals some time after the great fire of 64 C.E. under Nero. …It is in this atmosphere that Mark’s Gospel very likely took shape. This setting fits remarkably well with Jesus’ “prophecies” to his disciples in Mark 13:9-13. In the context of proclaiming the gospel to a predominantly Gentile milieu the Roman Christians were forced to bear witness before Roman officials (see 13:9-11)…. Discipleship failure because of anxiety and misunderstanding in the context of tribulation is a theme that runs throughout the Gospel of Mark. The cross looms large not only for Jesus but also for his followers. According to Mark 16:1-8, even on the morning of victory, it was hard for his disciples to conquer their fears and tell the Good News. So then, the story as it stands reminds us that the resurrection of Jesus, his appearances, and the season of Easter confront us as real, flawed people in a real, fallen worldâ€”a world of trouble, conflict, and rejection, which we too often approach with apprehension, doubt, and faintheartedness. We struggle and stumble as we attempt to fulfill our God-given commission. Furthermore, we can note that Mark’s Gospel ends in open fashion. We are left wondering what happens next. Someone must supply a more victorious ending! Could it be that we, Jesus’ church, are being called to live out a fuller, richer conclusion to the story and show the world that Jesus is alive? Mark challenges us to overcome our fears and tell the Good News. But we can make a theological virtue out of necessity. Perhaps, in the strange providence of God, the way Mark’s book now finishes encourages us all the more to explore not only the faith of the early church, that Jesus had indeed risen from the dead, but our own faith. Do we take Easter for granted, or have we found ourselves awestruck at the strange new work of God? What do we know of the risen Lord? Where is he now going ahead of us? What tasks has he for us to undertake today, to take “the gospel of the kingdom” to the ends of the earth? I wonder why Peter is separated out in that sentence? He IS one of Jesus’ disciples as well, of course. That is an odd sentence, isn’t it. MAYBE it meant they said nothing to anyone OTHER THAN the disciples and Peter. You would think they would want to obey what the “young man” in white robes told them to do. But it more likely means what it says. It doesn’t agree with what the other gospels say the women did, though. I think the women told Peter and the disciples like the other gospel (s?) say. Joanie, I think there was a very good reason why those “men in white” specifically named Peter among the disciples. I supect that it was because they were well aware of Peter’s public denial of Jesus three times the night of His arrest. And because of this denial, Peter was probably in a greater state of distress and despair than the other disciples — and therefore, in greater need of the good news of Jesus’s resurrection. Naming him specifically in the message would also have confirmed to Peter that the Lord still considered him as one of His disciples — a designation which Peter (in his grief and guilt) may have felt that he had forfeited and no longer deserved. Well, the women must eventually have told someone, or else it wouldn’t be in Mark at all, so the ending is not what it seems – it seems to end in fear and silence, but that’s not the end of it. Personally, while Wright makes an interesting argument, I believe that Mark meant to leave it that way. It’s an unfinished sentence – that we have to complete. (sort of like Jonah, for that matter) In Greek, the word “for” (as in “for they were afraid”) has to come after “afraid” – so it reads “they were afraid for…” That word can’t come last either. So Mark (and God…) is asking us to finish the story…how does it really end? It’s too bad you didn’t have the space to go into detail here. If only there had been more space, you could have mentioned and described the evidence of Mark 16:9-20 in the writings of Justin, Tatian, and Irenaeus, in the 100â€™s (far earlier than the production-dates of Vaticanus and Sinaiticus). You could have also described the quirky features in Vaticanus and Sinaiticus at the end of Mark. The abrupt ending at the end of 16:8 is not an ending; it is an interruption. Having looked into the subject in detail, I believe that Mark 16:9-20 was added not by a later copyist but by a contemporary of Mark, before the Gospel of Mark was disseminated for church-use, and that the passage should therefore be treated as a fully canonical part of the Gospel of Mark, just as we routinely treat parts of Old Testament books even though they were not added by the primary author. The alternative is to picture a second-century copyist, with knowledge of Matthew, Luke, John, and First Corinthians 15, creating four otherwise unrecorded events in these 12 verses by imitating Matthew, Mark, Luke, and John. In addition, one must picture church-leaders in the second century, in possession of copies of Mark ending at 16:8, eagerly accepting 16:9-20 despite its apparent discrepancies with Matthew and Luke. If you examine N. T. Wright’s various comments about the ending of Mark, you can tell that he is not a remarkably accurate textual critic. On this one subject he has made some significant errors. He stated that Sinaiticus and Vaticanus â€œare followed by several later manuscripts,â€ but thatâ€™s not true. In the remainder of his descriptions of the manuscripts and patristic evidence, it is obvious that Wright rephrased the comments in Bruce Metzgerâ€™s Textual Commentary. Wright was not paying close attention, though, because in his description of the manuscripts with the Shorter Ending he made several mistakes. 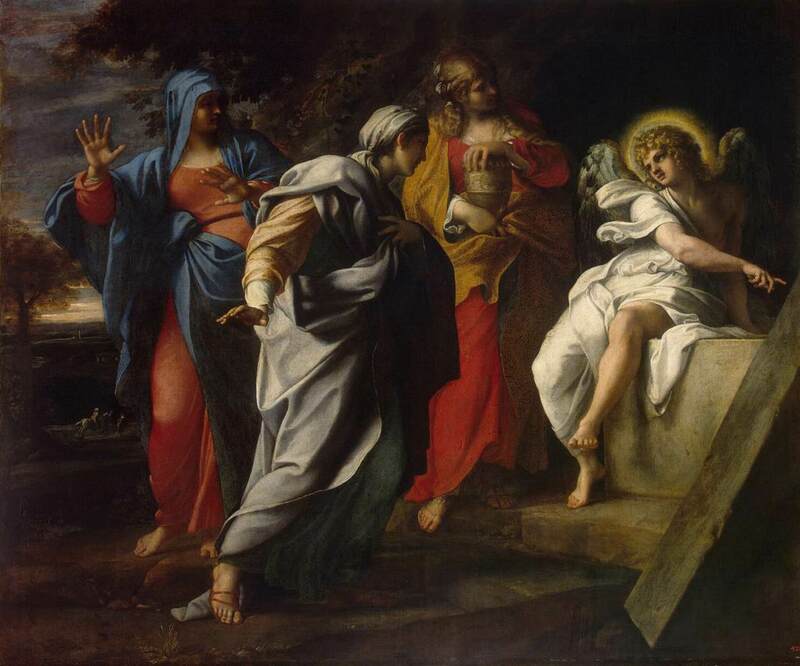 Mark did not desire to create an â€œopen ending,â€ and this was so obvious to his contemporaries that they declined to release the unfinished text, until adding an already-existing composition that summarized Jesusâ€™ post-resurrection appearances â€“ a composition now known as Mark 16:9-20. Someone in the second century removed this passage, regarding it as a patch rendered superfluous by John 21 (which fits rather well onto 16:8), and the resultant truncated text of Mark proceeded to influence the text in Egypt, the source of the main exemplars of Vaticanus and Sinaiticus. But practically everywhere else, Mark circulated with 16:9-20. I encourage you not to surrender to Groupthink regarding the text-critical issue of Mark 16:9-20, and to reject, as Wright finally has, the notion of a deliberate â€œopen endingâ€ â€“ which would be more like a â€œtrick ending,â€ considering how clearly Mark forecasts Galilee appearances in 14:28 and 16:7. I don’t think 9-20 is the intended ending. It reads like a compendium of material from the other gospels and Acts, which it likely is. I agree with Wright and others who say that the true ending has thus far, in God’s providence, been lost to us. I think Wright dealt admirably with the text as it stands and as it might have been. He did not detail the text critical issues because he was writing briefly in a layman’s commentary. Likewise this post, which has a devotional intent. Others may wish to discuss the issues in the comments and debate them. I’m OK with that, but one’s position on the ending of Mark will not become a measure of orthodoxy here. I don’t think verses 9-20 are the ending that Mark intended either, but neither is Jeremiah 52 the ending that Jeremiah intended, and something similar could be said about numerous other passages. Is John 21:24-25 the ending that John intended? Also, verses 9-20 are not a pastiche of the parallels, and I think you could be quickly convinced of this if the opportunity existed for us to delve into a thorough comparison of the differences between this passage and the parallels, and to consider what a mishmosh-maker would have to be thinking to produce Mark 16:9-20. Regarding the idea that the true ending has thus far, “in Godâ€™s providence, been lost to us,” I would just note that (a) there is no evidence that such a text was ever written down in the first place; it is much more probable that Mark was interrupted than that a known ending was lost and never restored, and (b) in God’s providence, Mark 16:9-20 is attested by every undamaged Greek manuscript except two (both of which have quirks at this point in the text), and by second-century (and third-century and fourth-century) patristic testimony, and is recognized in the Roman Catholic Vulgate and in the Orthodox liturgy — so one would have to squint quite a bit, istm, to maintain the idea that a divine agenda exists for the use of 16:8 as the ending of Mark rather than 16:20. In any event, when describing the evidence concerning Mark 16:9-20, it is misleading and unbalanced to mention Vaticanus and Sinaiticus without at least mentioning the earlier testimony of P45 (which is the earliest extant copy of Mark; due to extensive damage we don’t know if it included 16:9-20 or not), Justin, Tatian, Irenaeus, etc. Perhaps Mark ends his Gospel this way as a literary or rhetorical effect. I recently met a man with terminal cancer. Through a hospice chaplain the man had become a Christian. Being bedridden he had all the time in the world to devote himself to reading the Scriptures. He began at the Gospels, and made note of verse eight. It really upset him. I had never noticed that the women had not told anybody, but I keep going back to his response. It doesn’t make sense. Why would they not spread the news of Jesus’ resurrection? Maybe this outrage is the desired effect Mark was looking for. Maybe Mark wanted to unsettle his readers; he wanted the women not telling anyone to upset them so much that they themselves would correct what they had failed to do. Leaving the story unresolved makes the reader squirm, and want to finish the story themselves.